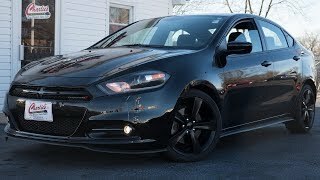 Dodge will be unveiling the Blacktop Package for the Dart at the 2014 North American International Auto Show in Detroit. 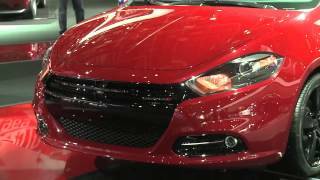 Dodge has already offered Blacktop packages on Charger, Challenger, Avenger, Journey and Grand Caravan. 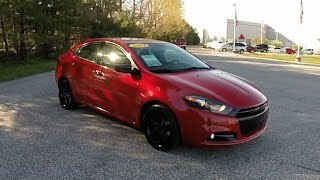 The Blacktop package for the Dart will cost an extra 295 USD above the SXT with Rallye Appearance Group version. The vehicle is distinguished by its unique Gloss Black mirrors and unique 18-inch Gloss Black aluminum wheels, along with Black/Ruby Red premium cloth interior with Ruby Red accent stitching on the instrument panel brow, center console and seat bolsters. 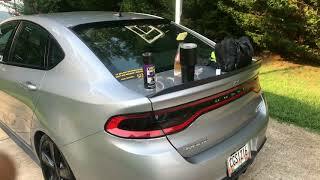 A Black/Light Tungsten cloth interior is also available on Dart Blacktop models. 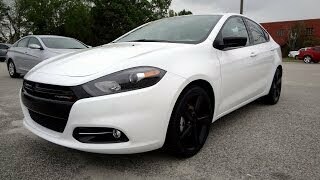 The new Dart Blacktop package complements the freshened 2014 Dart lineup, which features the 2.4-liter MultiAir2 Tigershark engine that produces 184 bhp (137 kW) and 174 lb-ft (235 Nm) of torque now standard in the 2014 Dart SXT and Limited models, and featuring a unique calibration on GT models.